University of Georgia Press, 9780820349923, 168pp. Tr buchet is the much-anticipated follow-up to Danniel Schoonebeek's debut book of poems, American Barricade, which was named one of 2014's ten best books of poetry by Poets & Writers and hailed as a "groundbreaking first book that stands to influence its author's generation" by Boston Review. 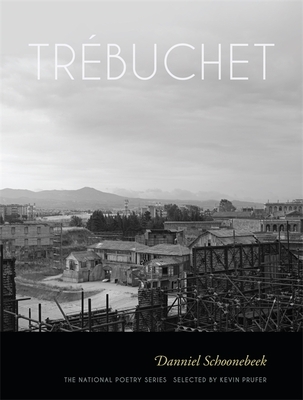 The poems in Tr buchet--which takes its name from the catapult used to break down walls and barriers during medieval wars--are at once combative and incendiary, tackling contemporary politics in a more direct, personal way than Schoonebeek ever has before. Addressing gun violence, poverty, fascism, surveillance, white privilege, the protest movement, censorship, American history, torture, and net neutrality, Schoonebeek's writing is marked by a unique use of slang and jargon, manipulation of white space, and precise rhythm on the page. His poems have been praised by many critics for their momentum, obsession with weird language, and the precision of their enjambments and end-stopped lines. Though American Barricade and Tr buchet speak to one another and map an evolving poetics, Schoonebeek's second collection is a departure from the aesthetics and obsessions that defined his first, which was invested in the politics of family dynamics and the insistence in this country on obtaining power and wealth. If American Barricade was the book that wanted to kick open the door, Tr buchet is the book that wants to tear the door off its hinges. Danniel Schoonebeek is the author of American Barricade. In 2015 he was awarded a Ruth Lilly and Dorothy Sargent Rosenberg Poetry fellowship from the Poetry Foundation. His work has appeared in the New Yorker, Poetry, Kenyon Review, and Tin House.